Welcome to Bird Media. We present you on the internet. 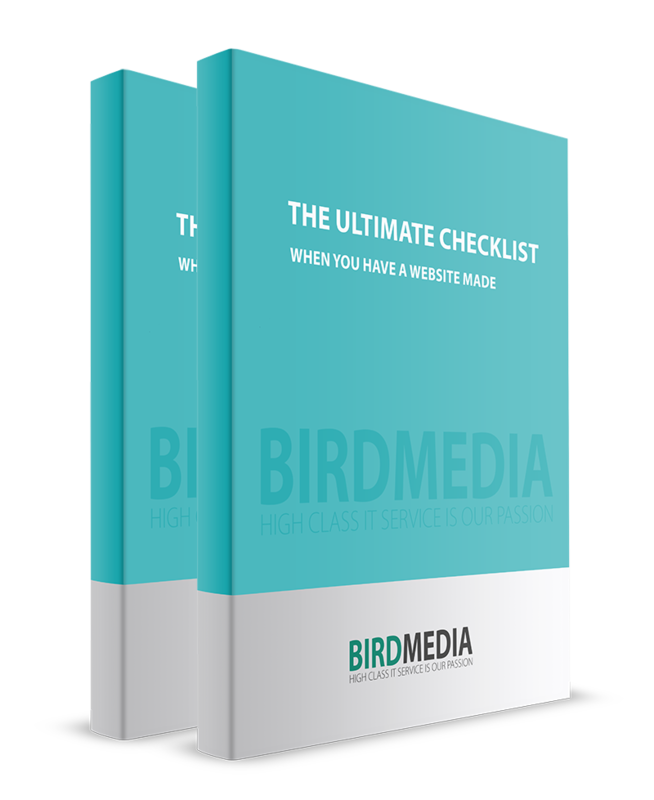 Let Bird Media Center help you in optimizing your conversion rate and drive customers to your website. We have a successful web solution for every budget. Despite the customization, your project will be delivered at lightning speed. Different countries have different online payment systems. We work with internationally well-established payment providers. Online sales are largely based on the identity that you have managed to create online. We make sure that you are the expert. Many good counselors come up with a good plan. Get in touch now for your first brainstorm session! Even if you leave building a website to someone else, it is very important that you prepare yourself well. After all, you want to present yourself, your company or organization in such a way that the website delivers success. What is success, for example? That your site looks beautiful? Forget about that fast, because a site that is not found by your potential customers is useless. You do not have anything to do with a site that is found, but does not produce anything. Except that it cost you a lot of money to build. The first step often seems the most difficult. You know you need a website, but you have no idea how and what. Or you have ideas about what you want and do not want to see in your new website. A one-on-one brainstorming session with one of our experts will certainly help you on your way, after you have downloaded the checklist and worked it out as well as possible. Following the brainstorming session, we will work on a concrete plan for you. If desired, this plan can be explained orally and / or shared with you in a video presentation. When you have agreed with the tailor-made plan that has been created for you by means of the signed agreement, we will immediately start working for you.